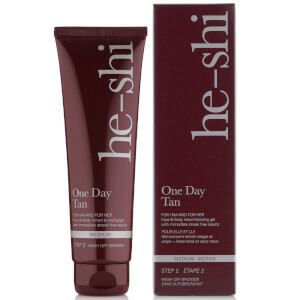 Discover the range of streak-free fake tan for men from He-Shi here at Mankind. 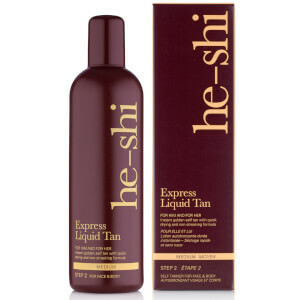 Founded in 2004, He-Shi are an award-winning, sophisticated self tan brand for both men and women. Used by celebrities around the globe, these safe and healthy tan formulas are odourless and pH balanced so even those with the most sensitive skin can use it. Featuring a plethora of skincare benefits, their moisture lock technology fights the signs of ageing and rejuvenates the skin’s appearance. Formulated using high quality, scientifically balanced ingredients and their unique Youth Revivé Opti Tan, it makes for quick and easy application. 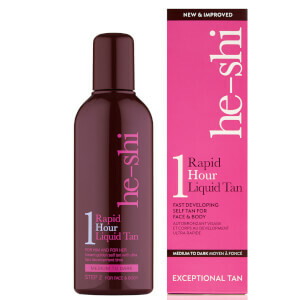 He-Shi offer the perfect products for an instant bronzed colour from head to toe whilst eliminating the harmful risks associated with overexposure to the sun. 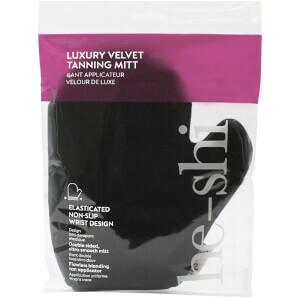 The He-Shi Tanning Mitt is a glove mitt using ultra smooth material for perfect self tan application. 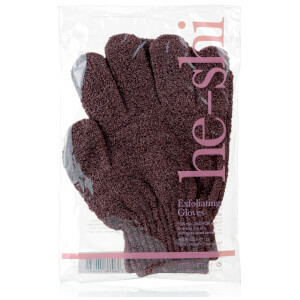 Featuring a lotion proof barrier, it protects hands from tan staining through glove usage. 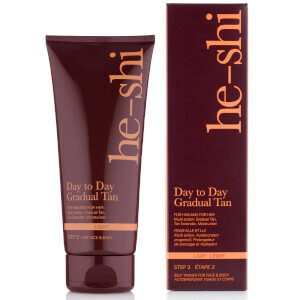 The He-Shi Day To Day Gradual Tan is a 3-in-1 self tanner, tan extender and moisturiser. 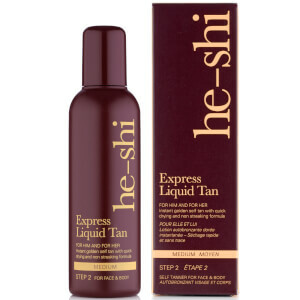 This triple action technology can be used to top up colour between tan applications and maintain and existing self tan. By gradually building up a light bronzed complexion, this lotion evens out skin tones for smoother, healthier looking skin.